A grief workbook for women after the loss of a child or pregnancy. The loss of a child is beyond devastating. It is the most difficult experience a human being can endure. Losing your baby or grown child. Coming to terms with the loss of the life you were going to share with your child. Heart Space is a 258 page self-directed coaching book designed to help you through all stages of loss. Through gentle exercises designed by mothers, fathers and families who have walked in your shoes, with the kind loving overview of trauma specialists, this is a safe space for you to work through your emotions, your memories and the legacy of your child and your dreams for the future. The book, written by Ami Summers, a mother who has experienced stillbirth and miscarriage, is a supportive hand to hold through your journey. 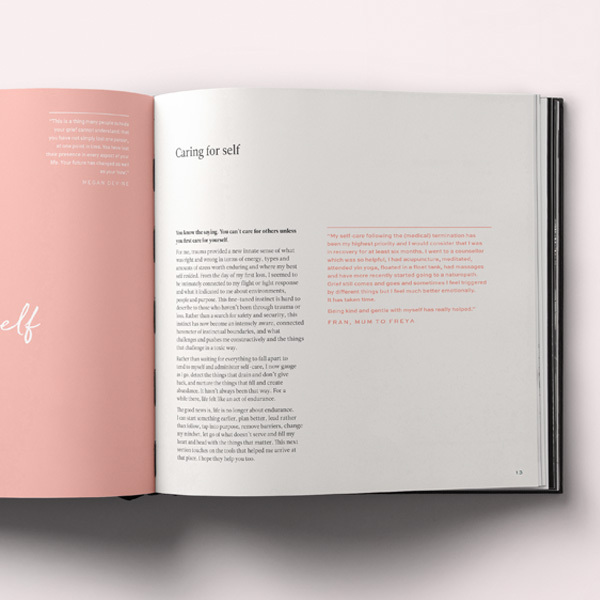 The book has been collectively shaped by the stories and experiences of a group of mothers, fathers, and family members who have experienced all stages of child loss and have been affected by the loss of the child or pregnancy. Heart Space has been carefully crafted to create a safe place for you to grieve, grow and develop through your loss, miscarriage or stillbirth. Through self-directed, constructive exercises, this coaching journal guides you through the unique experience of loss and grief that is losing your child. Designed specifically for mothers by mothers who have lost children and pregnancies, Heart Space creates space for all emotions and stages to be voiced, processed, shared and honoured. Our book grants you permission to grieve your babies. Stress is physically and emotionally impactful. At times it can be hard to articulate what we feel stressed about and why. This exercise is designed to shine a spotlight on your stress response.